It's amazing how the web still proves to be way too complex and inadequate when it comes to searching information about opening times of local brick-and-mortar shops, restaurants and services. Many users find the task of finding such information simply daunting – especially if the data in question is about a local branch of a store or restaurant chain . Fortunately, Timeo.co.uk comes to their rescue – this brand new platform helps to find key practical informational about such ventures in a matter of seconds. When forced to look for the opening times or contact information of a given store, most users will probably turn to the brand website in hope to find all data there. Such websites are most of the time built with user experience and marketing in mind, so they rarely ever offer detailed information about every single branch – and even if they do, it's not that easy to find. In their essence, brand websites aren't designed for accessing practical information. UK opening times, company addresses and detailed contact information are not hard to find anymore. With Timeo.co.uk users can enter a comprehensive platform designed specifically to address this need. The creators of this functional website did the citizens of the UK a big favor – they basically provided them with an online database of key information for a wide variety of services. The website is easy to navigate, allowing user access to heaps of practical information on every data-rich page. 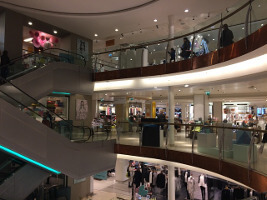 For all branches of each and every major chain, as well as individual shops and restaurants, Timeo.co.uk features a clear indication of its opening times, a complete address to help users reach the place, as well as detailed contact information to help users reserve tables or make sure that items they're looking for are in stock. What kind of services are featured on Timeo.co.uk? Practically all those that we use in our daily lives. Among them you'll find post offices, restaurants, beauty parlors, bookstores, all-purpose shops, as well as pharmacies – all located in the United Kingdom. Using the website's smart search engine, you can either search by name and then narrow down your selection to the appropriate location or simply choose a different functionality that allows to look for specific services located in one location. When is Timeo.co.uk especially valuable? When you need something right away or you simply cannot waste time on looking for an open store. Take pharmacy, for instance. Imagine that one evening you suddenly need a specific medicine and suspect that your nearest pharmacy might be closed at this time. Instead of losing time on running to the store and making sure that it's exactly as you thought, you can now access the vast database of Timeo.co.uk and check the opening times of your preferred pharmacy in a matter of seconds. If you discover that your pharmacy is closed, you can instantly remake your search query to include other services of the same kind. All this information is within your reach with just a few clicks. No more unpractical search engines or complex company directories – now you've got Timeo.co.uk to provide you with updated and accurate information. Timeo.co.uk is a platform that is genuinely user-friendly – despite the heaps of data included here, users will easily make sense of its structure and navigate through its clear layout. Today's top strategy for web design is user experience, which is perfectly realized in the structure of Timeo.co.uk. Timeo.co.uk is one of those websites that are potentially very helpful for our daily lives, especially once we need to quickly access data about opening times or contact information for a specific shop or service. Not many of us have the time to it takes to find such information on search engines or company databases – Timeo.co.uk is easily our best option for getting all the information we need in just a few seconds.